Jacqueline Carey is the author of the bestselling Kushiel trilogy (Kushiel’s Dart, Kushiel’s Chosen, and Kushiel’s Avatar) and her epic fantasy duology, The Sundering (Banewreaker and Godslayer). She has won the Locus Award for Best First Novel and the Romantic Times Reviewers' Choice Award for Best Fantasy Novel. 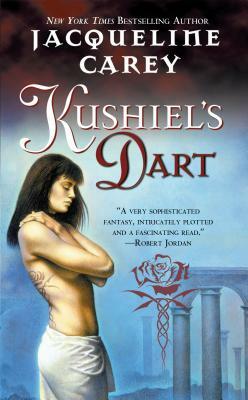 Her books have been listed on many booksellers’ top ten fantasy books lists. Always an avid reader, Carey began writing fiction as a hobby in high school. After graduating from Lake Forest College, she worked for six months at a bookstore in London, and returned to the United States with a driving passion to write professionally. She resides in western Michigan.